It's essential to have smooth lips not just if your a lipstick wearer just because it's nice to have a clean, plump and appealing lip. In winter I find it's such a pain as my skin changes drastically and if I skip even ONE part of a routine...I know I'm in for hell at some point down the road. My lips this winter have been through wars EVEN at night. I would go to bed with lip balm on & it would get so cold that my lips would chap, not nice. Where do you begin to get nice smooth lips ?! By exfoliating. Now you can go out and buy your own from various companies (Lush being a fairly known one) but if you have the ingredients already in your kitchen, why spend money when you can make your own mixture in less than 5 minutes ? This back to basic is widely known I'm sure, but it's always nice to just put it out there incase for others or if there's a mixture some have never tried ! My normal mixture would be honey & brown sugar . The new mixture I'm going to try is natural oils & brown sugar. Natural Oil ( extra virgin olive oil, jojoba, sweet almond oil ) for this I chose sweet almond oil. 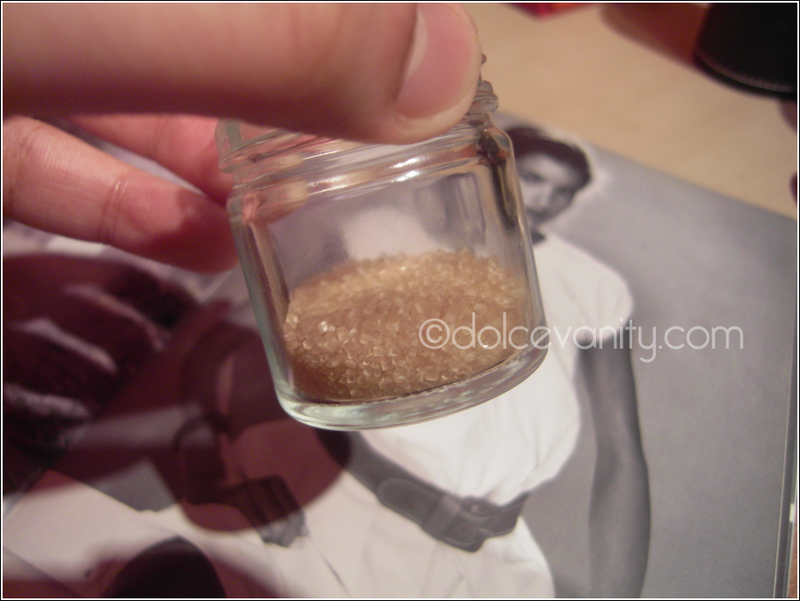 Apply 1 tsp of brown sugar into your small jar. Apply the same amount of your chosen oil on top of the sugar. Depending on how wide your jar is, start to stir the mixture together with a spoon or the spoon end to get a real good mix up. Taking my brush I like to get the mixture onto the bristles and SMILE! Preferring to have the skin stretched rather than relaxed it makes it easier for me to scrub over my lips. TAKE NOTE : Be very gentle with the scrubbing, you can make the skin sore and even more worse off. Exfoliating is good but too much can cause lip burn or for it to bleed :o( owww!! Afterwards gently rinse off with warm water and you will already feel how much smoother your lips feel, heavenly right !? I then put Vitamin E oil or another natural oil on my lips to keep it moisturised and I also keep Vaseline in my bag. 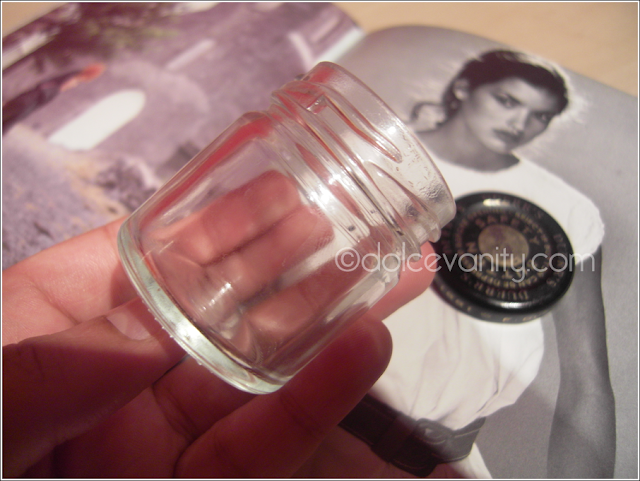 I did replace my Vaseline with my Burt's Bees Honey lip balm at one stage it's in dire need of a repurchase . At night I've taken to applying oils on my lips & over my lip line too, keep it all moisturised and crack free. If you make your own, what's your mixture if you don't do you purchase & from where ? Thanks for reading, love as always. @Glamorous Glory thank you . Thanks for sharing this! 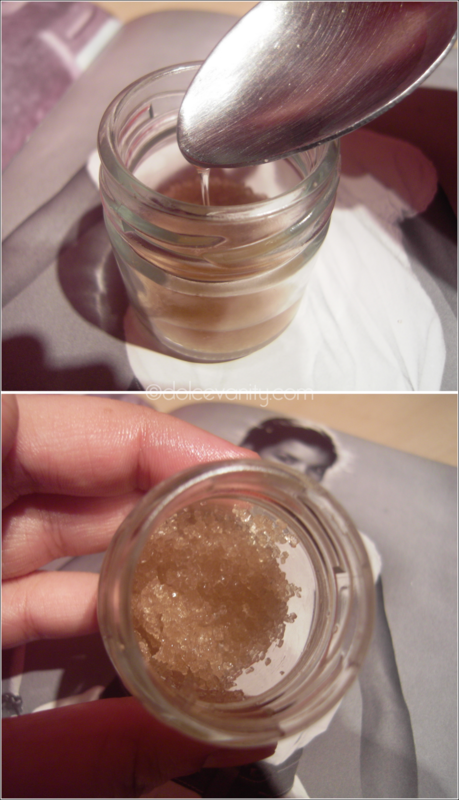 I never understood why people went out and bought the LUSH lip scrub when you can easily make it on your own! I do this once in a while as well (I use sugar + olive oil) and it works well, then after I apply a heavy layer of Vaseline (all over my lips/just outside my lip line) and I don't have to worry about cracked lips! @Arezu no problem. Me either there's a good deal amount of things we can go out and buy but also make at home and reap the same benefits. i'll need to try this...my lips are always so dry!! thanks for sharing!